At Mr. Electric, we pride ourselves on providing exceptional service to every customer. 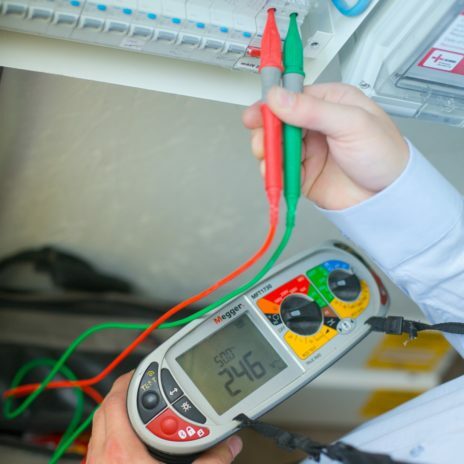 From being available 24/7 for any electrical emergency to always taking good care of a customer's property, we go the extra mile to ensure homeowners and businesses are happy with their Mr. Electric experience. But don't just take our word for it. Take a look at our latest customer reviews below. Mr Electric saved the day by responding immediately to our emergency and restoring power to our house. Further urgent work was necessary which was all completed the following day. Thanks. Absolute Star! Efficient , good timekeeper, extremely tidy . Have absolutely no hesitation in recommending and will have him back as and when I need more electric work done! Very professional service, excellent competitive price and very polite, I would definitely recommend Mr Electric for any electrical work. Brilliant service, Excellent quality and extremely professional. Highly recommended and will use again. Contacted to get work done. Was informed that my job wasn't urgentand was quite rude. Would not recommend to anyone. Mr Electric quoted me for a garage conversion into a cinema room. Not only was he efficient but also very quick. He has done a fantastic job and couldnt be more helpful. Nothing was too much trouble and he was extremely competitive on price. Regarding the quality of his work I have been very impressed. I highly recommend. Indeed I have recommended him to friends for work already. Fast response from Darren willing to help you out as much as possible at short notice. Great workmanship, excellent at his job and works at a very quick pace. No time wasted! Thanks again Darren will definately be passing on your contact to my friends and family.